What Is A Dahlia Piercing? Although the roots of piercing dates back centuries, there are many modern examples of expressing yourself in new ways through the use of body modification and jewelry. These days a style that has definitely moved into the foreground is the Dahlia piercing. If you are unfamiliar with this style, it is basically having two piercings put into place, one at either corner of your mouth just outside the lips. This type of piercing is primarily worn by women although men do on occasion get them. They are names in honor of the Black Dahlia. How Painful Is It To Get One? 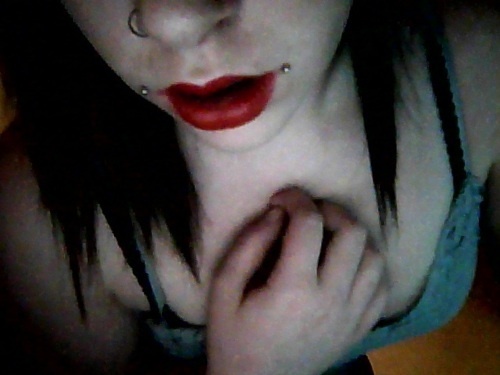 As far as pain levels, a Dahlia piercing isn’t one of the most painful experiences you’ll ever have. The piercing is done with a large needle inserted from the outside then a stud is inserted from inside the mouth. It is usually done in a 14g scale but some people prefer a smaller 16g. On the general pain scale it is considered about 2 out of 5. There is often some bleeding associated with the procedure but it tends to be mild. Compared to most other types of piercing, the healing time is quite long. Some report up to 20 weeks to heal completely. This is due to the amount of bacteria that this area is exposed to regularly. There is a risk of infection as with any piercing but proper care and hygiene does reduce the risk considerably. Because this is technically a pair of piercings and it has to be done by hand, it is not one of your cheaper piercing options but it is a simple enough piercing that the price point isn’t overly high. Dahlia piercings with jewelry tend to start around the $70 mark and go up from there depending on things like jewelry selection. Pieces to wear once your piercing heals are relatively easy to find since a short labret or Monroe stud make perfect pieces for you to use with your Dahlia piercings. This gives you a wide assortment of options for both jeweled and non jeweled pieces that are readily available at many stores as well as online. The one thing to remember is that since it is a paired piercing, you will need 2 replacement pieces. Although they are usually matched, mixing colors, stones, or designs allow you to further customize your look and express your personality with your choice of fun and functional pieces. By taking the time to choose a high quality piercing professional and making sure you take proper care of your new piercing, a Dahlia piercing is a great way to highlight your smile and show off your personality with a piercing that is both low pain and low cost. It is a simple way to add a facial piercing that is both modern and classical in its appearance. It is small enough to not overshadow your winning personality but large enough to still be noticed. Overall, a perfect option for those who are new to facial piercings or someone who just wants something new. Are you ready for your Dahlia experience to begin?